We got back from Arizona three weeks ago. What have I been up to since then? A mix of nothing and way too much. From an equine perspective though, very little. When we first got back, it was insanely hot. We gave the ponies a few days off on purpose and then we’d go to the barn thinking we’d try to ride and it would be 90+ even at 7pm. Gross. We literally have zero show plans for the rest of the season so the motivation is just not there. We had a lesson a week after we got back and I rode for like 15 minutes and spent the rest watching my husband ride. Then Levi was like, wouldn’t it be fun if I lost my shoe? No Levi; no it would not. My husband’s aunt came to visit us. 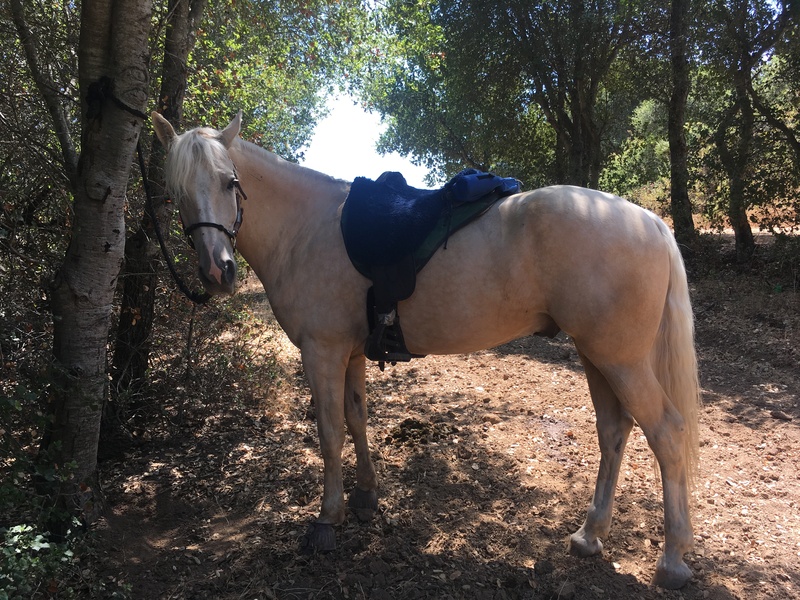 She rode as a kid and wanted to go out with us on the trails. Although we arranged to borrow Devro, I didn’t want to take Levi out on a long ride without the shoe. 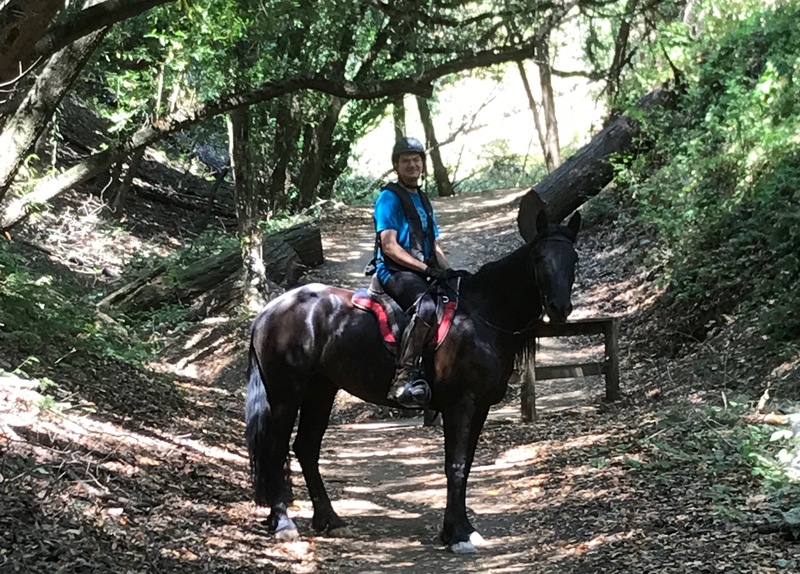 My husband took Devro and his aunt rode Eugene and they hit the trails at Rancho for a nice, long ride. I took advantage of a rare free weekend day to meet up with fellow blogger, Cruisen In Stilettos, for a chance to hang out again. I’d never been to her barn, which is super pretty and really big. I also wanted a chance to ride in her sidesaddle. I had a sidesaddle for Dijon a few years ago, but it wasn’t a good one and I sold it. As such, I’d say I’ve never really ridden sidesaddle. At least not properly. The saddle was actually much more secure and comfortable than I thought it would be. I didn’t feel like I was going to fall off. However, all of my years of riding instincts go counter into what you should do in a sidesaddle. I kept wanting to put my weight in the stirrup, but you really need to put your weight in your seatbones (not wrong in riding either I suppose) and keep your weight out of the stirrup. So hard. Her mare, Porsche, is a total packer though. She just trucked around like a good mare no matter what I did. I even tried a bit of trotting. Porsche has a nice, flat trot, but I still instinctively wanted to balance on the stirrup and that just tips your whole body to the side. It was a lot of fun though and it’s something I’d love to do more of in the future. 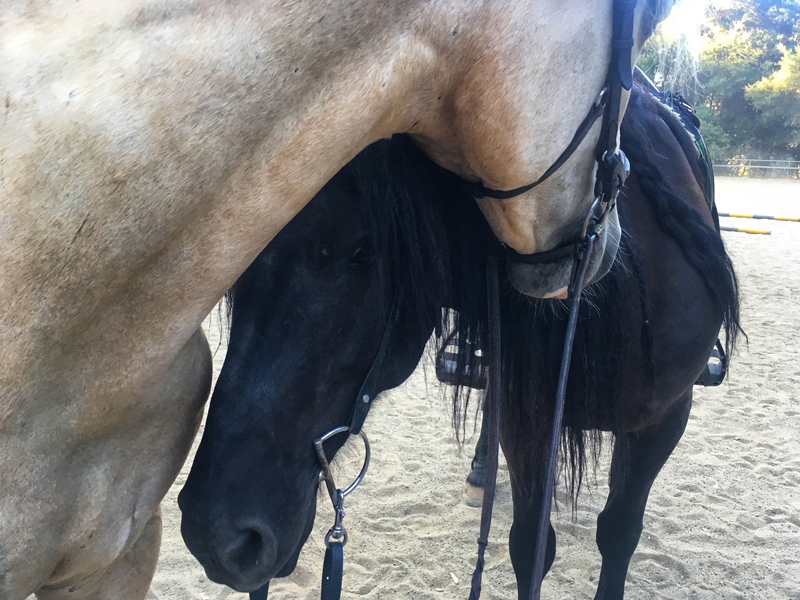 The next day we took his aunt up to the winery next to our barn for a quick trail ride and wine tasting. We used to have a membership to the winery and go all the time, but it’s been a while. We tied the ponies up and my husband and I shared a chilled white port while his aunt did a tasting. We rode up to the top of the park, which is my favorite part. I love those big California Oaks. It’s definitely the dog days of summer around here. We got a few rides in this weekend and I have some plans for next weekend. yeah i waited until 7:30 to ride last night and it was still 90. soooo we did some walking. at least it was better than the morning? I hate the heat. Even if I have a show I should be prepping for, I give up all ambitions when it’s hot. Sounds like a nice time unwinding. ALSO LEVI keep your shoes on 🙂 thanks…. I would ride to the dollar general if there was one nearby. Imagine how odd people would think that was. I’ve always wanted to ride through a drive-thru. After so much work at Coconino, it’s probably just fine for them to get an extended break anyway. 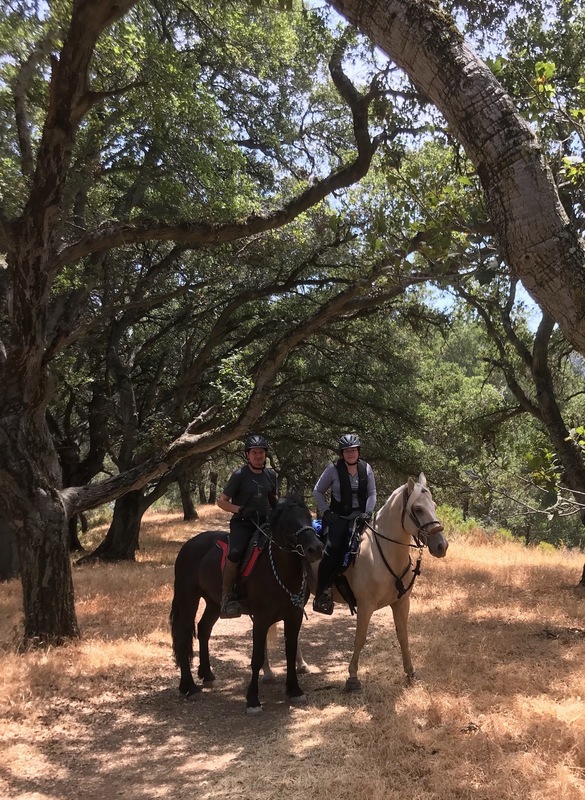 I love that you can ride to a winery! I’ve never ridden side-saddle, and I think it looks SO HARD! You look great up there though! Couldn’t you ride to the lobster shack? You walk there all the time. I’d rather go to a lobster shack than a winery any day. Still sad I never got a chance to ride to the winery with you guys! You could still do it. It’s only like an 8 hour drive or something. My husband has a freeform treeless saddle. I have an old FitForm treeless which is a company that’s out of business now. We both really like them. They’re super comfortable for trail rides. I have a full seat sheepskin cover added to mine for extra comfort. thanks! good to hear positive reviews on treeless. I’d like to give one a try. A lot of people dislike treeless saddles, but I really like them. 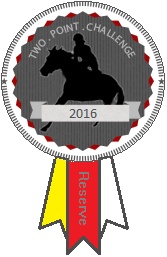 My husband has done a 50 mile endurance ride in his treeless and a lot of endurance riders use treeless saddles. I didn’t think Eugene let anyone other than your husband ride him! He’s funny. He doesn’t care about strange people riding him at all. Strange people on the ground are scary. Strange people in the saddle aren’t a problem. I love easy days! Yeah it’s no fun. It’s 90+ here even by 7 as well, and still over 100 even when the sun goes down at 8. Part of me is actually glad I have to take a break with the girls because the heat has just been killer. Can’t wait to hear what you guys are doing this weekend! I’m glad I have nothing to be prepping for since I don’t think any goals would even get me in the saddle when it’s that hot. It has cooled down a bit though so maybe we’ll ride this week. Those shady oak trails look lovely! But yeah, it has been a bit hot, I’ve done a couple late evening/night rides when it is cooler. It’s so unusually humid that it’s hot even in the shade.